The classic effect is reworked for modern users. The EF-X2 houses three main functions: a tape echo, a DSP-based reverb and a preamp. 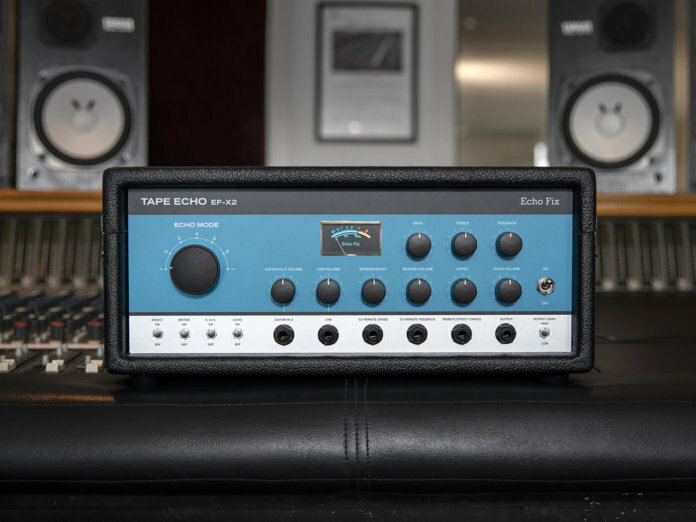 To arrive at the tape echo’s warm character, Echo Fix engaged in three years of R&D. This research yielded three custom echo playback heads, which can be combined with a switchable sound-on-sound head for a total of 11 head combinations. The tape loops have also been formulated to both last longer and sound great, according to the brand. The tape echo can be shaped with a variety of controls. You can tweak its signal with a two-band EQ as well as adjust the Time and Feedback parameters with control voltages or compatible expression pedals. To sculpt the reverb effect, on the other hand, you can tweak dedicated volume and decay controls. Besides the above, a Motor switch can be toggled for a tape “slow-down” effect, or to help conserve tape when you’re only using the reverb or preamp functions. On the front panel, the EF-X2 boasts independent inputs – each with level control – for instrument-level and line-level sources. Adding to these are balanced I/Os at the rear. Pre-orders at $1,450. 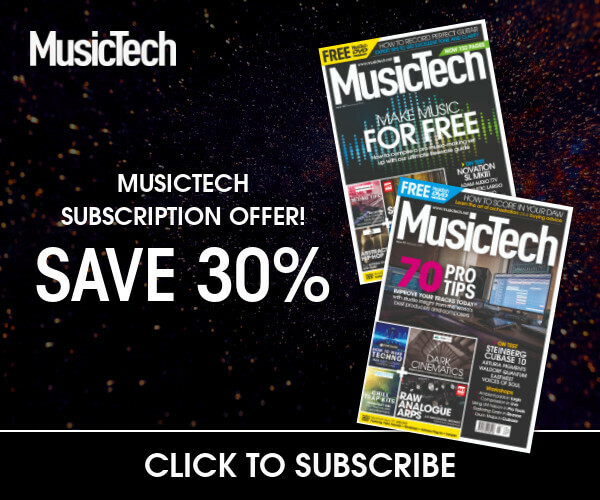 More info at echofix.com.